Here are some special Science competitions and awards you may be interested in trying for! Please also check out the full list of available Awards. 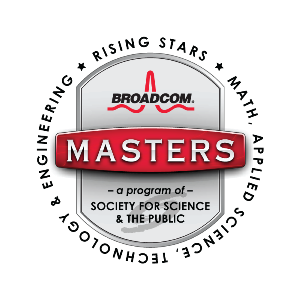 Grades 6-8th are eligible to compete for the opportunity to submit their documentation to the Broadcom MASTERS competition. Documentation is the only aspect that changes from the K-8th registration process with the Mastodon Fair. Please read the Checklist for Adult Sponsorship carefully to determine what additional ISEF forms may be needed depending on the research area. Visit the ISEF “Rules Wizard” website and follow the directions to determine what additional forms may be required. Feel free to contact the Mastodon Fair Science Director for further assistance.